Will Smart Heel damage my shoe? Can I wear Smart Heel on more than one pair of shoes? Can I wear Smart Heel indoors? Can I wear Smart Heel on grass? How many times can I use a pair of Smart Heels? Should Smart Heel only be worn on new shoes? Why do you only provide one style of Smart Heels? How will I know to which pair of shoes my Smart Heels belong? Why is my Smart Heel getting scratched when I wear it? 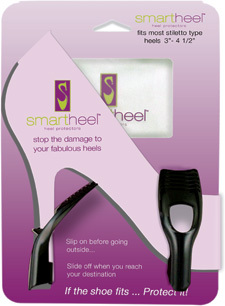 If Smart Heel protects my high heels, why is the heel tip still getting worn out? What happens if I receive incorrect or damaged Smart Heels? I am a retailer and wish to carry Smart Heels. By following the simple instructions on the Demo and Instructions for Use pages and making sure your heel fits within the parameters of the Smart Heel Guide, the heel of your shoe should not be damaged by Smart Heel. We do not recommend using Smart Heel on heels covered with patent leather. 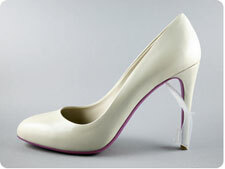 Smart Heels which can be used on patent leather are currently in development. To receive updates on new models, click here. It is highly recommended that you use a separate pair of Smart Heels for each pair of shoes to ensure correct fit and maximum protection. Heels come in many shapes and sizes. Smart Heel is designed to allow you to customize it to fit your lower height heels within the Smart Heel Guide range. Additionally, Smart Heel has “memory” and will mold itself to fit a particular heel. Once the Smart Heel has developed this memory, it may no longer stay on other pairs of shoes. Absolutely! Smart Heel is a perfect device to protect your high heels against the wheels of office chairs, the steps of escalators, and any other obstacles that create a hazard for your heels. Smart Heel was designed and fully tested for hard surfaces but some women have told us that they have found it to be useful on grassy areas as well. Smart Heel seems to add just enough "bulk" on the inside of the heel such that the heel won't sink into a lawn further than the heel tip (the bottom replaceable portion of your heel). We do not recommend using Smart Heel on very soft ground at this time. Smart Heel is extremely durable and is designed to be re-usable. Smart Heel is designed to be used on both new and previously worn shoes. If your heel tips are slightly worn down, you may want to slightly pre-stretch the Clamps with your finger to help the heel enter the Clamps. While it is not necessary, you may wish to replace your worn heel tips at this time. Each style of Smart Heels requires a great deal of research and fine-tuning to ensure a perfect fit and maximum protection for a range of heels. We wanted to offer this amazing product to the public immediately and will introduce each new style as soon as it is perfected. To receive updates on the release of new models, click here. 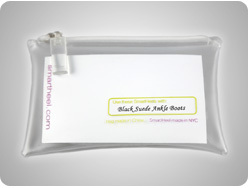 On the back of each pouch, there is a rectangle on which you can use a permanent marker to write the name of the shoe to which your pair of Smart Heels belong. Don’t worry. Your Smart Heel is incurring the damage that the heels of your shoes otherwise would. 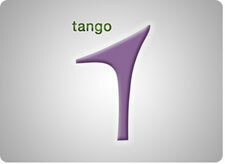 Smart Heels are easy and inexpensive to replace while your favorite shoes may be irreplaceable. Heel tips (also called “lifts”) are generally made of rubber or plastic and will wear down more quickly on concrete surfaces. According to many shoe repair experts, the only heel tip that will not wear out is metal. However it is difficult to get metal tips which will perfectly fit your shoes, and they are very noisy when you walk. Wearers of Smart Heel have found that their heel tips wear down much more slowly when they wear their Smart Heels on a regular basis. Most orders ship within 24 hours. We offer both US and international shipping to most countries. Shipping is FREE for orders of 5 pairs or more within the US, and sent via US Priority Mail. Minimal shipping charges apply for orders up to 4 pairs and sent via Standard 1st Class Mail. Minimal shipping charges apply for International orders of any quantity and are sent via 1st Class International Mail. If you need to receive your Smart Heels right away, please contact us at orders@smartheel.com and we will accommodate you. In such cases, Express shipping charges will apply. We offer a 30-day money back guarantee. If you are unsatisfied for any reason, just return your Smart Heels with the travel pouch to us, together with the completed Return Form (printed on the back of the packing slip) within 30 days of shipment, and we will refund the full purchase price, less any shipping fees. We encourage you to provide feedback on how we may serve you better in the future. Please note that you are responsible for covering the cost of shipping for returns. At Smart Heel, we have extremely high quality standards and each order is meticulously checked to ensure it meets these high standards. If by chance an incorrect order was passed on to you, please contact us immediately at orders@smartheel.com and we will assist you in any way we can with a replacement item. You will not be responsible for return shipping costs on incorrect or defective items. Simply go to this link to contact us and we will promptly respond to your inquiry.